Should We Be Afraid of Apple, Google and Facebook? Tim Wu, the Columbia law professor who coined the term “net neutrality,” is not someone to be dismissed lightly, especially when it comes to communications and media trends. In his recent book The Master Switch: The Rise and Fall of Information Empires — and in a related piece in the Wall Street Journal (s nws) — Wu argues that just as AT&T (s t) was a monopoly during an earlier phase of communications history, companies like Google (s goog), Facebook and Apple (s aapl) now have what he calls “information monopolies” that could be just as damaging to our society. But does he present a convincing case that this is true? Not really. Forgoing Facebook or Twitter means giving up whole categories of activity. For most of us, avoiding the Internet’s dominant firms would be a lot harder than bypassing Starbucks, (s sbux) Wal-Mart (s wmt) or other companies that dominate some corner of what was once called the real world. The author goes on to argue that despite the Internet’s reputation for encouraging freedom, it looks “increasingly like a Monopoly board” with most of the major sectors controlled by “one dominant company or an oligopoly.” According to Wu, search is “owned” by Google, while Facebook owns social networking, eBay rules auctions, Apple “dominates online content delivery” and Amazon owns online retail. But as more than one person has pointed out, none of these examples — with the possible exception of Google and search — meets any kind of real test of the term monopoly. It’s not clear what Wu even means by saying that Apple has a monopoly on “online content delivery,” although he seems to be referring to iTunes and the control the company exerts over distribution of music, movies, books, magazines and so on, either directly or via its mobile apps. But that doesn’t really qualify as a monopoly either; record labels, movie studios, newspapers and other content companies are free to distribute their content in other ways and still reach the same audience (or an even broader one), using the web and other services. Google probably comes the closest to a classic definition of a monopoly — not so much on the search side, but when it comes to advertising and particularly search-related advertising, where the company clearly has a dominant position. As a result, Google has already come under scrutiny for acquisitions such as the purchase of the mobile advertising service AdMob (which got cleared after Apple bought Quattro Wireless) and others have recommended that regulators investigate the proposed purchase of the travel-information service ITA as well. But even so, arguing that Google is a monopoly is not a slam dunk. Facebook and Apple, meanwhile, don’t really fit any definition of monopoly, unless you broaden the word to mean “a really big company with products that a lot of people use.” It may be true that Facebook doesn’t make it easy for certain kinds of data to be exported from within its walled garden — something recently criticized by the father of the web himself, Sir Tim Berners-Lee — but that doesn’t really make it a monopoly. If Facebook is a monopoly, then Friendster and Myspace could just as easily have been accused of being monopolies when they were top dogs in the social-networking space. Instead, they are proof of just how fragile such a position is. Facebook seemed like an also-ran just a few years ago — similar to Friendster and Myspace, but without as many features. Now it’s valued at more than $33 billion and is feared by everyone. Could it be the next Microsoft (s msft), and therefore deserving of our criticism for being a quasi-monopoly? Perhaps, but that case has yet to be made. And look at Twitter: in just three years, it has gone from being a quirky toy used primarily by geeks to a digital-age communications network used by hundreds of millions of people as a real-time news medium, and has a theoretical market value of more than $3 billion. Wu argues that while they may not be strictly defined as monopolies, these companies are large enough and have integrated themselves into our lives in such a way that they might as well be monopolies. The risk with this argument, of course, is that governments tend to take a dim view of monopolies, whether metaphorical or otherwise, and talking about Google or Facebook in those terms could make it even more appealing for regulators and politicians to get involved in legislating technology markets and services — which is rarely a good thing. In his WSJ piece, Wu says he believes the Internet is more prone to monopolistic behavior because “a single firm can dominate the market if the product becomes more valuable to each user as the number of users rises. Such networks have a natural tendency to grow, and that growth leads to dominance.” But what Wu is describing — the so-called “network effect”– is a double-edged sword. Just as it built the former empires of Friendster and Myspace and AOL (s aol), it just as efficiently dismantled them when a better (or at least more popular) network came along. Should we be aware that Apple is trying to control too much? Undoubtedly. And we should also be vigilant when networks like Facebook try to control too much of our information, as Tim Berners-Lee advocates. But Wu seems to want to draw a comparison between AT&T’s control over telecommunications and companies like Google and Facebook, and the analogy just doesn’t work. There are too many variables now, and the ubiquity of the web arguably makes monopolies more difficult to maintain, not less. to be honest with you, TCP/IP is a monopoly. And you can thank DARPA for that one. There’s an easy way to avoid an Apple monopoly of music with iTunes. Don’t use iTunes! I agree with Mathew that we are not facing a monopoly, but I think better a “specialized” oligopoly, because Apple is a market maker for Phone trends, while Facebook is a reference for Social Networking. Google is quite different, since offers a broader number of services, but there’s always an alternative for each of them. The truth is that in most cases Google services are better than the rest. Google’s search is better than the rest because it has a monopoly in online advertising. Since google ads sit on the vast majority of web pages, google gets advance warning on new content as it is created. therefore google indexes new content much before the competition. this connection between online advertising and search is key to dominance in the ad and search business. I don’t understand how “Since Google ads sit on the vast majority of web pages, Google gets advance warning on new content as it is created.” Can anyone please explain to me how this would work? It seems like you just made this statement up Les. On top of that, last time I checked, nobody was forced to advertise with Google. The US DoJ uses a particular test to determine if a firm has monopoly power – the Herfindahl – Hirschmann index (HHI). Using this as the sole indicator, and thinking reasonably carefully about the markets in which each plays (search and web-delivered ads for the first, ‘social network’ connections for the second): Google and Facebook absolutely have monopoly power. The answers for the others are less clear. I have not read Prof. Wu’s book (and can’t get it except, ahem, to my Kindle, since I live in Asia), so cannot tell if he used the DoJ numerical definition, or how precisely he used term monopoly at all. Actually, HHI is just one of many tools used in modern antitrust law to evaluate market power and determine whether a “monopolist” exists in a particular market. According to antitrust scholars Geoffrey Manne and Joshua Wright, “market share is, at best, the beginning, not the end, of the monopoly power analysis.” Highly concentrated markets can in many cases be quite competitive. Excellent point, Ryan — thanks for posting that. Note that Wu gives Google a pass but pounds on potential competitors Apple and Facebook. This is because Wu’s lobbying outfit, Free Press, lobbies for Google and gets all sorts of perks (such as free ads) in return. Wu is a paid shill. I think that’s unfair, Brett — as I understand it, Free Press is a non-profit group interested in broadening media ownership, not lobbying for specific companies. Wu is a troublemaker looking for notice from his controversial comments. 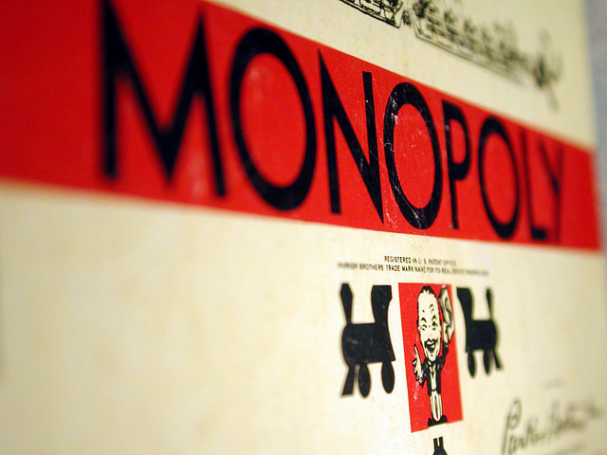 A “monopoly” is a company that is able to charge above its marginal cost. It can profitably raise prices, losing sales but increasing profits. If you’re charging more than your marginal cost, there’s not effective competition, and there’s net loss to society. Competition drives everyone to sell at cost, including cost of capital, opportunity cost, etc. Google has an effective monopoly on online advertising but faces competition in the business of aggregating data about users. “Search” isn’t a relevant product market because it’s given away free. “Social networking” isn’t a real product market either. I would agree with you on all those points. Thanks for the comment. Good post, although I would say that Google is a monopoly in online advertising rather than in search. Traffic is the currency of the internet and Google is the only bank that can exchange that currency for cash. If they “refuse to deal” with you, there is no alternative. And they routinely refuse to deal with anyone who gets large enough. Google’s monopoly was cemented with the acquisition of Doubleclick. Between Doublelcick and Adsense, Google’s servers are alerted any time new content is created & viewed for the first time. This ensures that Google’s index is superior to that of any other search engine. It will take a change in the White House for Google’s monopoly to be broken. Oddly a Republican president, as was the case for ATT’s monopoly. Thanks — I did point out that the monopoly charge against Google is much more fair if applied to advertising rather than search. But even in advertising, it’s not clear that Google is using its monopoly position to exclude competitors or exert unfair influence on the market — which, as Tim acknowledges, is the test for whether there should be anti-trust scrutiny of a company with a dominant market position. There are several pending complaints at the DoJ from parties who have been denied service by Google. These parties attempted to bring more efficient products to market. As they grew, Google cut them off even though Google makes money on the ads it provides these parties. The situation is similar to ATT. MCI offered cheaper long-distance service on ATT lines. Even though ATT made money on MCI calls, allowing MCI to continue would erode ATT’s monopoly. This statement makes no sense to me!!! The paranoid rarely change – except, occasionally, the direction of their fears. A foolish waste of time and energy. Yes, how much did Murdock pay for that op-ed? Murdock is just pissed he blew all that money on myspace and everyone jumped ship for facebook. Let the conspiracy theories begin! MS is laying in wait, ready to pounce and do bad things as it has done and continues to do, just not as publicly, so America should be fearful of Microsoft in stealth mode. Yeah, tell me about it. Now complete proud owner Novell! 420 million dollars worth to MS and then the rest to Attachmate another company owned by MS just to make it look like it’s not an anti-trust case. Android and Linux users be prepared for the MS lawsuit assaults!!!!! In 2011 the battle royal against open source will begin! 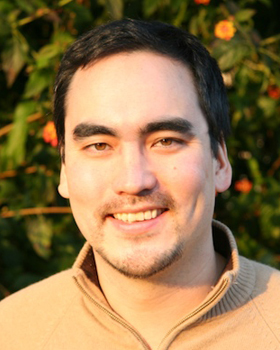 Tim Wu is lumping apple and oranges together. Apple and Facebook are as different as Facebook and BP. A monopoly uses its market dominance to exact unfair deals from partner/competitors and charge unreasonable prices from customers. Usually monopolies enjoy significant barriers to entry that prevent competitors from joining the market. Of all the companies mentioned above, only Microsoft and AT&T have been convicted of anti-competitive monopoly behavior. When the government brought its suit against AT&T, it essentially had no competitors and was regulated as a public utility in many places. The railroads invested impossible sums in fixed plant and real estate. These were monopolies. They should be treated with mistrust because they were truly powerful. We can argue whether Google or Apple belong to this illustrious group, but social networks? No way. By comparison, social networks, like Facebook, are ephemeral lightweights. They require almost no investment to start. Their only network effect lock-in relies people’s own laziness, since they cost no money to join or to leave. They come and go and people hardly notice. That’s a great point, James — what makes a monopoly bad, at least in legal terms, is the fact that it can use its market dominance to enforce unfair terms on partners or exclude competitors (which Apple arguably does with music and iTunes, a point I will give to Tim). It is difficult to argue that Facebook is doing this in any real sense, despite the “network effects” that theoretically give it a dominant position. 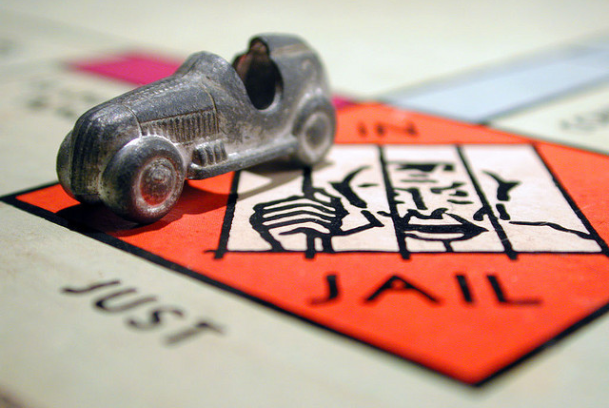 So why the alarming use of the word: Monopoly ? It’s control of the connective system that is similar – i.e. the social graph and telecommunications system are what bear the similarity. I’d argue that these systems naturally tend toward a single ubiquitous network, simply because there is so much user benefit from them not being fragmented. If we are to say that one system is better from a usability perspective, then the idea that this system is owned wholly by a single company is very distasteful. It seems that Facebook has won control of the social graph, and will continue to own that space unless they are forced to open it up completely – and naturally Facebook would be resistant to that. It is the overwhelming value in ubiquitous connected systems that is causing the paradigm shift. I agree, Colin — there are some similarities between the social graph or a social network and a telecom network. And I also agree that there is a tendency towards having a single one, as Tim suggested in his piece, because of network effects. But despite all that, I don’t think a “monopoly” exists in the same way that it does with a hardware-based telecommunications network in which access to the network is controlled by a single corporate entity. What concerns me is in the grey area which are potentially monopolies of the like we’ve never seen. You’re right Mathew, that a monopoly may not exist in the same vein, but in an unregulated environment, what you might once have called a monopoly could parallel the combined negative constituents of each or all of the above prevailing at scale. The influence of Facebook and to a lesser degree Microsoft, Google and Apple on a free press is something noone dare talk about either because the latter are becoming increasingly reliant on said social graph to channel eyeballs. That can’t be healthy for the consumer either and also suggests monopolistic tendencies. I’m glad to say Gigaom is one of the few that doesn’t appear influenced by FB Connect. A social graph is a non-physical network of data (which I think is what you are saying), and the Facebook social graph is controlled by a single corporate entity. Facebook have a monopoly on their social graph, and if it becomes ubiquitous, then Facebook is a monopoly in an identical way to the telecoms example. So it seems you are arguing that it is not a monopoly because you don’t believe it will become ubiquitous? Or because even if it does, the barriers to competition are sufficiently low? For mine the way we always seem to solve these ubiquitous-network-competition problems – telecoms, roads, the internet etc. is to make the network infrastructure an open platform for competition rather than the subject of it. For example in the road system, the great competition in the auto industry is driven by the deeply standardised road infrastructure. Facebook shouldn’t govern access to the social graph for the same reason that Ford shouldn’t govern access to the roads. The other thing to note here as well is that if there is so much benefit to a ubiquitous network infrastructure, perhaps we don’t want competition – a fragmented network is detrimental to its utility. This sort of ubiquitous network is perhaps a candidate to be pushed down the internet stack from corporate application and data silo into the fabric of the web and governed by a non-profit – e.g. W3C. Imagine the flourishing competition if we had a standard social graph that everyone could compete on – user wins big time. Only loser is Facebook. The competition you see, and I understand to be your argument for the non-monopoly stance, would be so much more vibrant on a standard playing field – one not monopolised by Facebook.